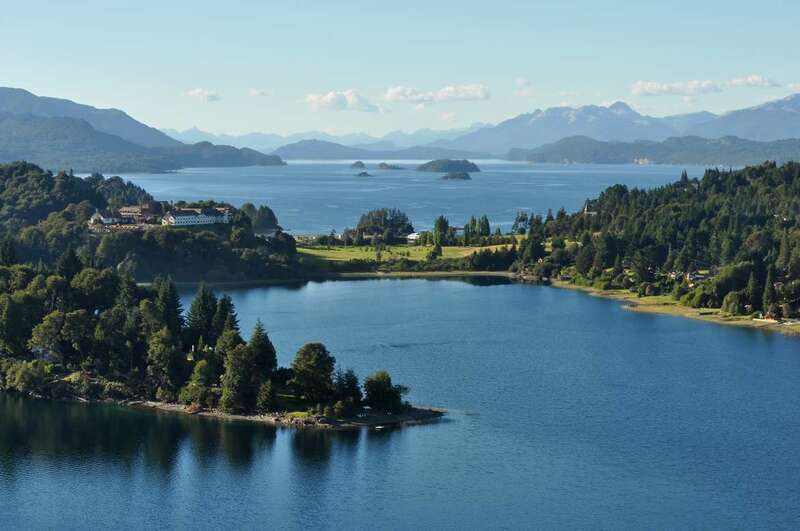 Bariloche is a fun city located next to Nauel Huapi Lake and surrounded by amazing nature. With lots of activities, beautiful landscape, delicious chocolate and the best meat in the world, this city is not to be missed! 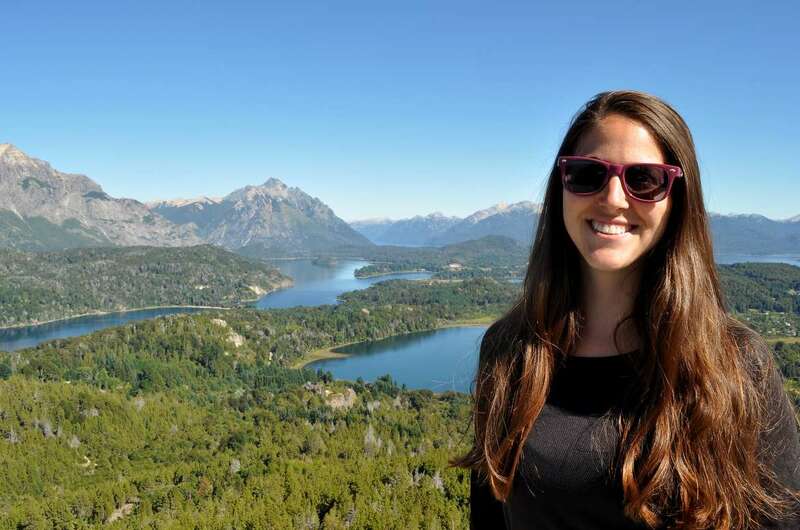 We planned to stay 4 nights in Bariloche, but ended up staying much more. We stayed at Achaly Hostel. This hostel was one of the best we ever stayed in! The greatest thing about this small hostel is the atmosphere. The owner, Pablo, was so friendly from the moment we entered. All the staff were helpful, friendly, and creative! People played the guitar, there was an awesome barbecue night, and we always enjoyed the good vibe. Everyone in the hostel were like a warm family. The facilities were also great: comfortable beds, clean showers, tasty breakfast, good wifi. Location was perfect, 5 minutes walk from all the best restaurants and a bus station. We truly recommend AchalayHostel with all our hearts! Our rating for Achalay Hostel is 10 out of 10! 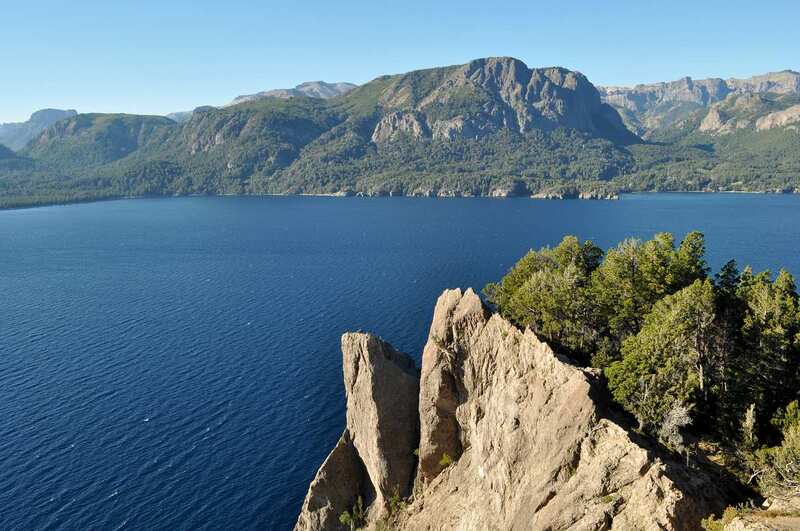 The famous mirrador in Bariloche is called ‘Cerro Campanario’. We decided to take the cable car to the viewpoint and back down (it’s possible to hike up 45 minutes insted), and then rent bicycles and ride the 25 km roundtrip, called Circuito Chico. 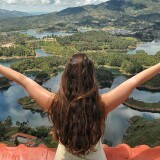 The panoramic view from Cerro Campanario is fantastic! All the lakes, the mountains, the reflections on the water, looked like a perfect postcard. 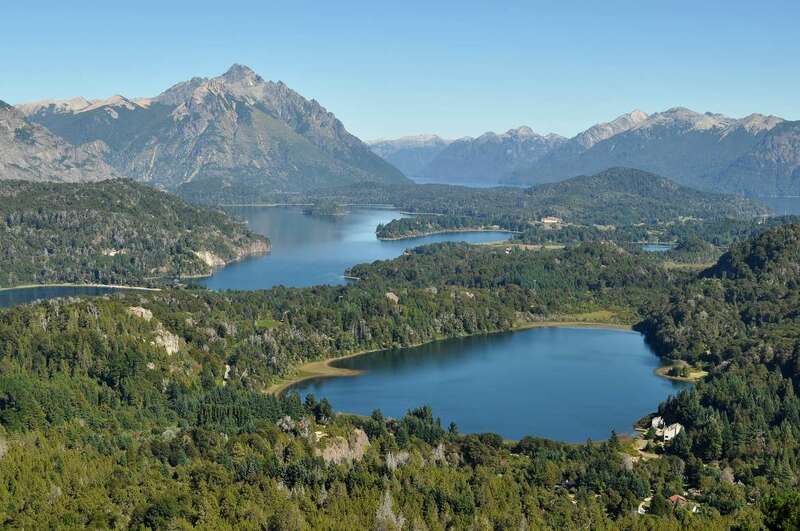 I was amazed by the fact that the city Bariloche is so close to incredible landscape. This is the best mirrador in Bariloche and also one of the best in South America, smiles on your faces are guaranteed! 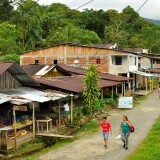 We started walking along the road until we got to ‘Cordillera bike rental’ agency and rented bicycles from them. The first agency you”ll see are more expensive so keep going a bit further down until you’ll find Cordillera agency. The owner, Daniel, was really nice and helpful, he explained ud about the route and gave us great tips and a map. We started riding at 13:30, which left us 6 hours to complete the 25 km circut in order to brig back the bicycles at 19:30, closing time. We managed to go back exactly on time, but I would recommend staring at least one hour earlier, becuase towards the end of the circuit we were a bit stressed and couln’t spend enough time at each viewpoint. 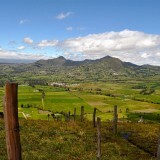 The Circuito Chico is not the easiest route, but definately possible for almost anyone who knows how to ride bicycles. Most of the route is up and down hills. The down hills were so fun, we loved it! When we got to up hill way is was sometimes easier to walk along with the bicycles rather than keep cycling. We did a lot of stops a long the way in amazing viewpoints and beautiful lakes. Oded was brave enough to swim in one of the lakes, for me it looked too cold. We had a perfect sunny day for cycling, each and every viewpoint was so rewarding. Towards the end of the circuit we got to an incredible mirrador called ‘Punto Panoramico’, with amazing views. It was such a relaxing place and we wanted to stay for a while and sit in the restaurant that offered great landscape, but we had to continue cycling in order to get back on time. So when you do the route, plan on having 7 hours along the way and save time for a stop to have a beer at the beautiful Punto Panoramico. The cycling was really fun (especially the down hills!) 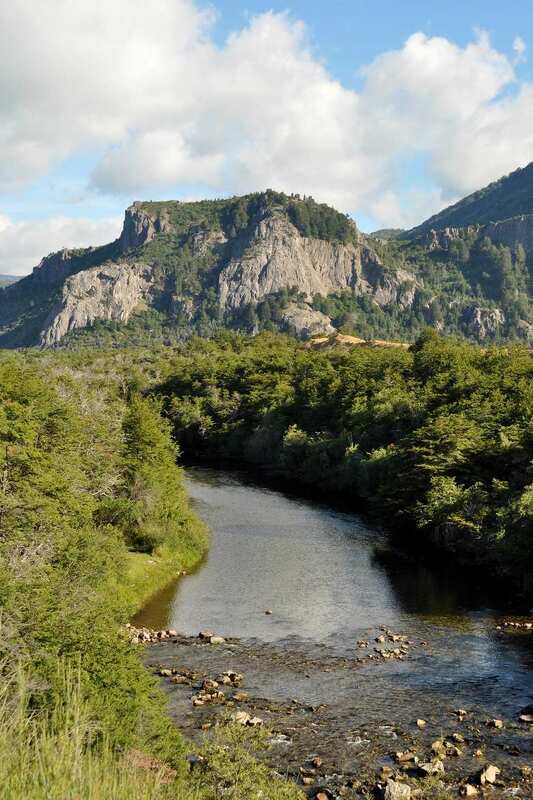 and we think it’s a great way to enjoy the beautiful scenery around Bariloche. 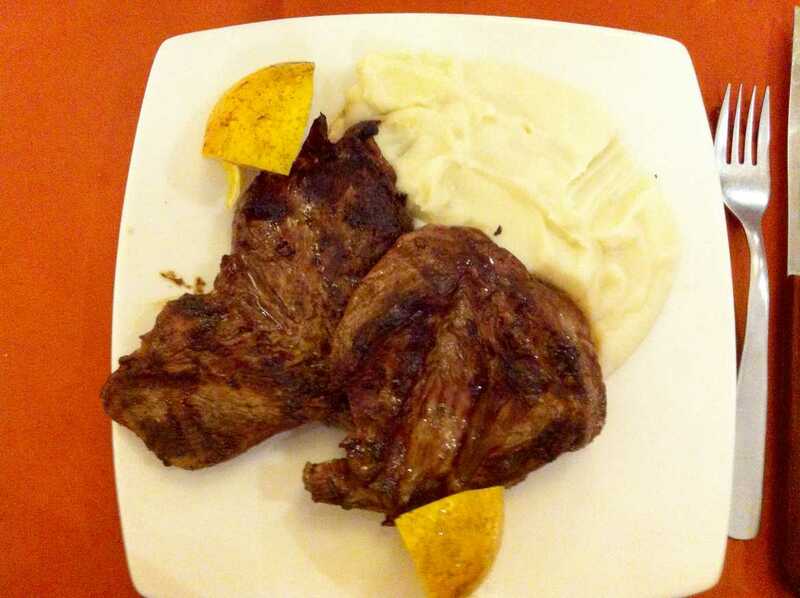 While visiting Bariloche you can enjoy amazing restaurants, especially meat lovers! Argentina is one of the best countries in the world to enjoy a good steak, and we did enjoyed our ‘bife de chorizo’ and ‘bife de lomo’ at the famous restaurant ‘El Boliche de Alberto’ . Go immedietly when they open, the restaurant is always full! If you want to try a low budget-delicious meal, go to ‘La Fonda Del Tio’. All the locals know and love this simple restaurant, we recommend the ‘milanesa napolitana’ which is a schnitzel with tomato sauce, cheese and ham! Yummi! 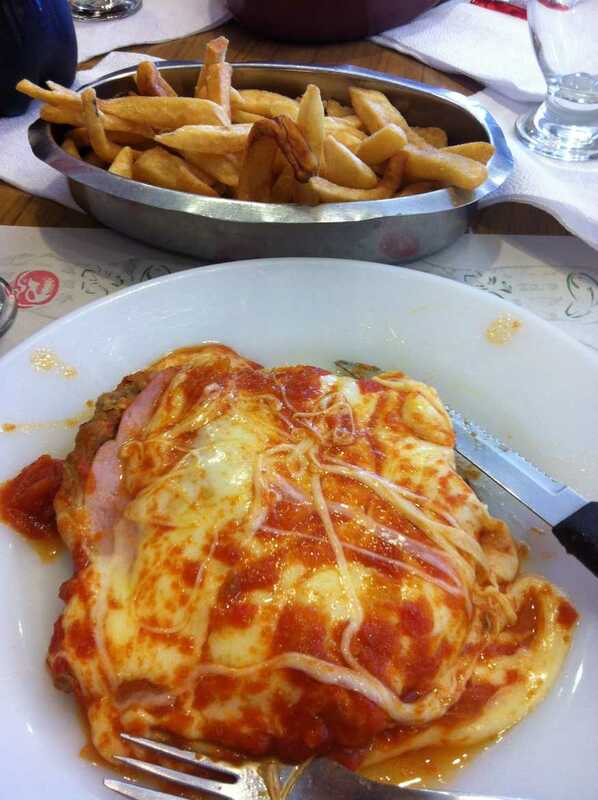 Milanesa napolitana at ‘La Fonda Del Tio’. Yummi! 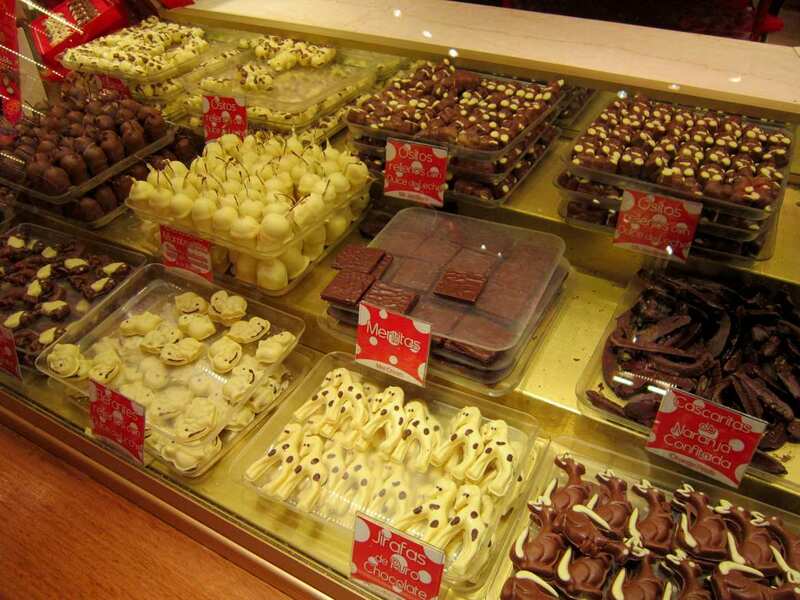 Bariloche is also famous for the incredible chocolate shops. Our favorite was Rapa Nui, they have delicious ice cream, and great chocolate in any kind of form. Try the Fra-Nui chocolate, cold raspberry fruit deeped in white chocolate and then in dark chocolate. Heaven! At one of the days in Bariloche, we took a bus to the restaurant in the beautiful Punto Panoramico. Since we didn’t have time to stop there during our cycling, we went there by bus which was very easy. Later we walked to the ‘Swiss Colony’ but we weren’t too impressed. Prices were pretty expensive and not too much to do there. We spent our time in Bariloche enjoying the relaxing landscape, having great meals, and spending time with all the amazing people we met in the hostel. It was so easy to make friends. 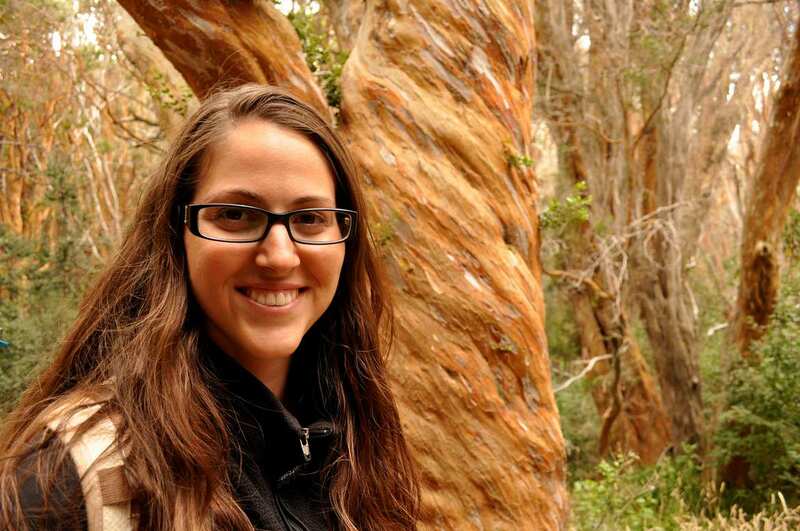 We wanted to rent a car to drive the ‘Seven Lakes route’ between Bariloche and San Martin. We met a friendly swiss couple in the hostel and decieded to rent a car together for 2 days. We rented a car from a friendly woman who had the cheapest and the best options for us at ‘A10 rent a car’ agency. The car was good for this route and we were pleased with our choise and recommend her services. On the first day we drove along amazing lakes and beautiful scenery. 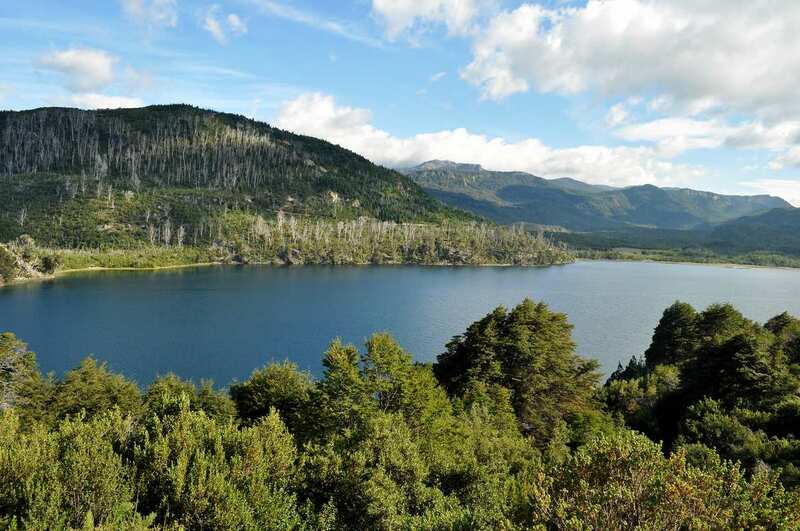 We stoped in ‘Villa La Angostura‘ and got the hours of the ferry to the ‘Los Arrayanes National Park‘. It was too late to start it on the first day, so we decided to keep driving and come back the next day for the trail. We did many stops along the way, and spent some time in the beautiful Traful Lake. We drove to an incredible mirrador and then enjoyed a great picnic near the lake. On the second day of the rent we drove back to Villa La Angostura, again with many stops at viewpoints of the amazing lakes. 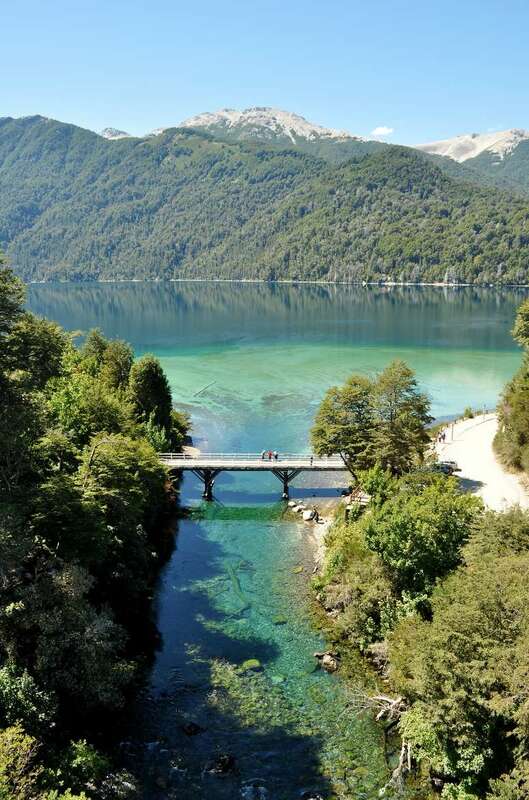 We arrived Villa La Angostura and took the ferry to the beginning of Los Arrayanes National Park trail. 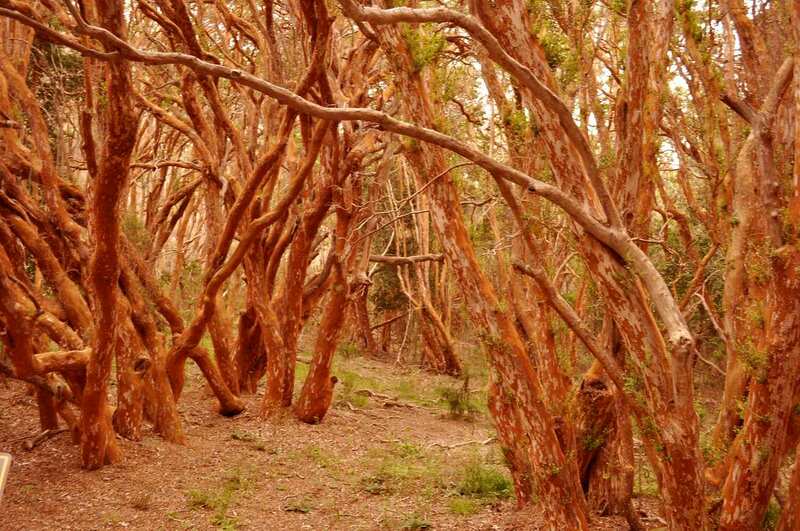 The arrayanes forest is magical, the trees have a really special color. The 12 kilometer trail is quite flat and easy, we had a relaxing 4 hour walk along the beautiful forest. 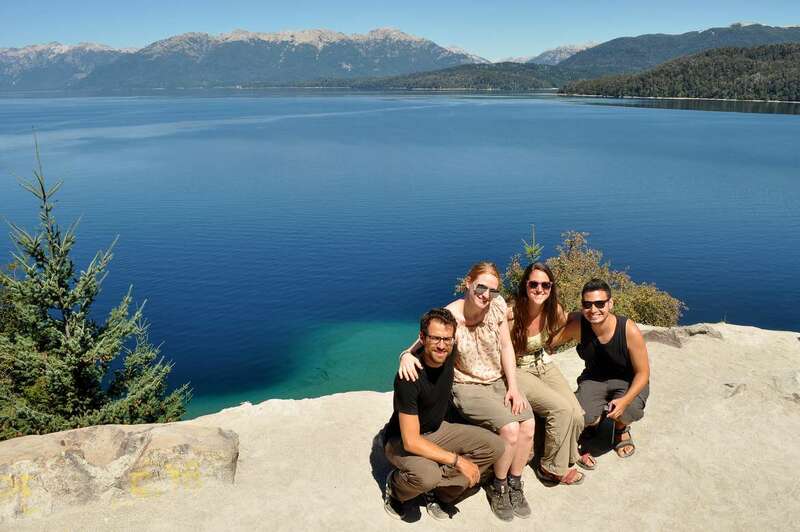 When we finished the trail we headed back to Bariloche, we were all glad with the decition to rent a car to drive this wonderful 200 km ‘Seven Lakes Route’. 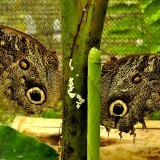 The magical arrayanes forest. Beautiful colors! 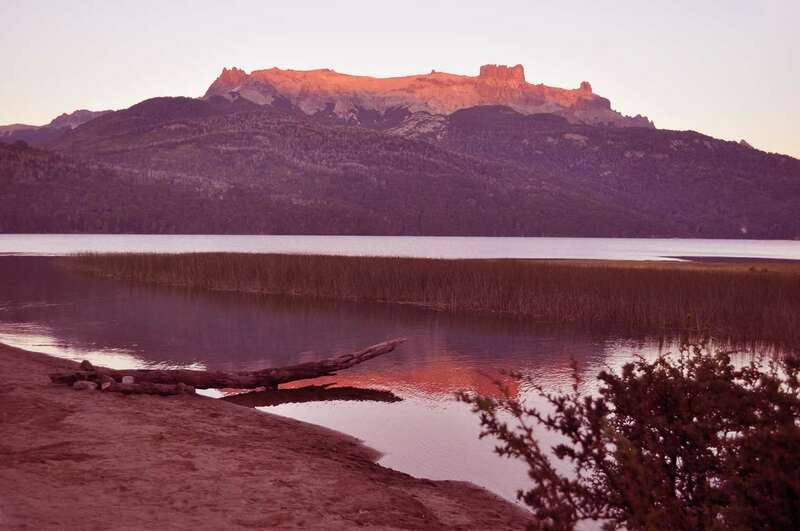 Bariloche is one of our favorite places in Argentina. It’s one of the places where we felt like we can live in. We enjoyed the combination of great restaurants and all the comforts of a city, with amazing landscape and lots of things to do near by. Bariloche, we hope to see you again some day! Our rating for Bariloche is 10 out of 10! You are so right – it looks like a paradise here!!! So jealous. The food seems so yummy! !